Up to 10GB disk space to use as you like. There are no space limitations per mailbox, like there are in hosting plans. A dedicated Email Migration Expert is at your service with instructions and tips for an easy and safe email transfer to Papaki. IMAP/ POP3, SMTP support to easily read, receive and send emails to the devices you love to use! Absolutely safe communication with free premium protection from viruses and spam! Do you have lots of domains? No problem! You can connect different email addresses to the same mailbox. Send up to 20MB attached per email with ease! Papaki’s Support team is always by your side, via email, live chat and telephone. VAT 24% is not included. Access your email from any mobile or desktop device through webmail or email clients (Outlook, Mac Mail, etc. ), from anywhere in the world! 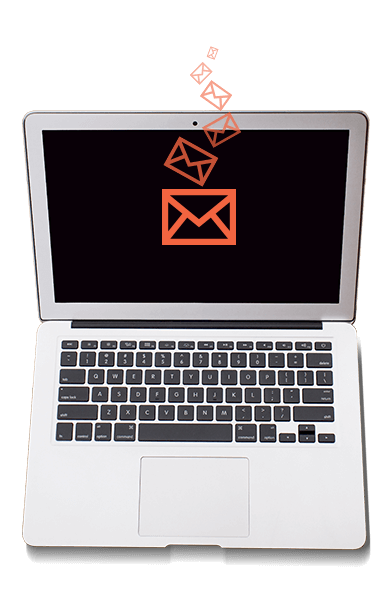 Create your email easily and in just a few minutes through your Papaki Control Panel. Save time and effort! For how long can I purchase an Email plan? You can order an email plan for six months, one year or two years and renew it before its expiration date. How can I add or delete email accounts? Υοu can add email accounts in your cart during your order, or later in the Control Panel of the service, where you can easily edit, delete or create email accounts. Can I access my inbox through my mobile? Yes, you can do this very easily. Follow step by step the setup procedure for iPhone here, and for Android phones here. Τype the domain name you want to use for your email accounts. The domain name must belong to you, so you can set up your email accounts. If the domain name you entered is not registered yet, it will be added to your cart for registration. An error occurred. Please correct the input data.